Dr. Lu is an Assistant Professor of Astronomy at UC, Berkeley. Her research group is conducting a search for free-floating stellar-mass black holes in the Milky Way using gravitational lensing. Her group also studies how stars are born in extreme environments such as in massive star clusters and around the supermassive black hole at the center of the Milky Way. These black hole studies require very high resolution images of the Universe at infrared wavelengths. Prof. Lu helps develop astronomical instruments that deliver sharp views of the sky using adaptive optics systems on large ground-based telescopes. 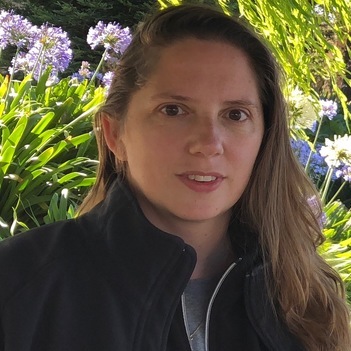 She is the Project Scientist for the ‘imaka and KAPA projects, which aim to expand the reach of adaptive optics to wider fields of view and more places in the sky. Prof. Lu is also a member of international science teams for the future Thirty Meter Telescope and the WFIRST space observatory. Prof. Lu is originally from Houston, TX and attended the High School for Performing and Visual Arts, majoring in dance. She received her undergraduate degree in physics from the MIT in 2000. She worked as a software engineer in silicon valley for 3 years before returning to academia to pursue her PhD in astronomy and astrophysics at UCLA, which was granted in 2008. After completing her PhD, she was awarded a Millikan Postdoctoral Fellowship in Observational Astronomy at Caltech and an NSF Astronomy and Astrophysics postdoctoral fellow at the Institute for Astronomy (IfA) in the University of Hawaii, Manoa. She joined the IfA faculty in 2013 and then, in the summer of 2016, Prof. Lu joined the faculty of the UC Berkeley astronomy department.